Here on the Select English blog, we are introducing a new series of posts providing advice for students who are currently studying abroad, or who are considering studying abroad in the future. Having taught English to students from all over the world for many years, we feel we have the experience to be able to offer useful tips and assistance to international students. To kick off the series, we’re talking about culture shock: what it is, what causes it, and what you can do to avoid it. [Mass Noun] The feeling of disorientation experienced by someone when they are suddenly subjected to an unfamiliar culture, way of life, or set of attitudes. Culture shock comes as a result of the changes you experience when moving from a familiar place, to somewhere new and unfamiliar. It is a common experience for anyone who stays in a new country for an extended period of time. You might experience culture shock if you have just moved somewhere new, or even if you have been living in a new country for a while already. It can be difficult, at first, to accept and adapt to a different way of life. You might feel lonely or misunderstood by the people around you, you might experience frustration or negative feelings towards your new environment, and you may also feel sad and homesick. Culture shock can be caused by all sorts of factors, including a change in climate, strange food, the way people dress and act in public, and unusual customs and traditions. Getting used to all of these changes can make you feel tired and overwhelmed. Even something small, like not being able to buy a certain kind of food, can leave you frustrated. Social differences, such as what is considered to be rude, or the main religion of a country, can be very hard to adapt to if they are markedly different to the society you have grown up in. Learn the language! Learning the language of the country you’re in is the best way for you to make friends and to go about your new life with ease. You don’t need to be fluent before you arrive, as you will pick it up quickly once you have settled in. Know what to expect – doing a little research about the country before you arrive will help you to feel prepared and will mean you’re less likely to be shocked by new things. Be open-minded and willing to learn. Observe the people around you and never be afraid to ask questions – most people will be only too happy to teach you about their culture. Maintain a sense of humour – don’t worry about making mistakes and be willing to laugh at yourself! Give yourself time – don’t expect to adapt to a new culture straight away and don’t be hard on yourself if you struggle at first. Get involved! The worst thing you can do is withdraw. Talk to people, join a club or evening class, go on trips and make new friends. Bring a few touches of home with you, such as photos of family members and special possessions. Keep in touch with people at home using Skype, email, or even postcards – this can help you to stay connected to your own culture and will stop you from feeling too homesick. 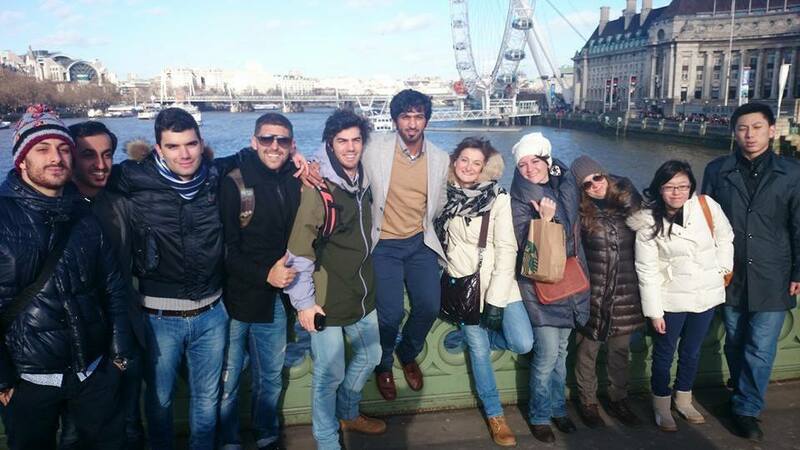 Studying abroad can certainly be daunting at first, but it will lead to incredible memories and life-long friends.